Zuhdi Jasser—obscure Arizona doctor and Glenn Beck favorite—will testify at this week’s domestic terror hearings. But what does he really believe? Jasser is president of the American Islamic Forum for Democracy (AIFD), a basically one-man organization founded in 2003 “to provide an American Muslim voice advocating for the preservation of the founding principles of the United States Constitution.” In 2007, Jasser started to appear on Glenn Beck’s show (then on CNN), and he’s been a regular ever since, also adding Sean Hannity and Bill O’Reilly to his bookings. As a Fox talking head, Jasser frequently warns of Muslim radicalism. He has estimated that, worldwide, “three to five percent” of Muslims are militant, and another “30 to 40 percent” are like the Muslim Brotherhood, with little use for separation of mosque and state. One of his favorite targets is the Council on American-Islamic Relations (CAIR), which Jasser accuses of failing to distance itself sufficiently from terrorist organizations. “Their entire mantra is about victimology,” Jasser has said. In 2006, the Muslim Voice newspaper in Phoenix printed a cartoon of Jasser as an attack dog going after other Muslims. The most potent product of Jasser’s efforts is a documentary called The Third Jihad: Radical Islam's Vision for America, which features Jasser as the chief narrator and warns of a creeping Islamist threat at home and abroad. Ominous music plays throughout. The documentary was produced by the Clarion Fund, which describes itself as a “non-profit organization that produces and distributes documentaries on the threats of Radical Islam.” The Clarion Fund was founded by a former employee of Aish HaTorah, a group with close ties to the settlement movement in Israel, and the two entities share an address. This February, I met with Jasser at his office in Phoenix in a low-slung industrial neighborhood. Jasser’s day job is as a doctor of internal medicine and nuclear cardiology, and, when he greeted me, he had a stethoscope hanging around his neck. Pinned to Jasser’s suit lapel were an American flag and a yellow ribbon signifying support for American troops. Jasser told me that he’d grown up in Wisconsin, where his parents had settled after fleeing repression in Syria. His father was a cardiologist and his mother a pharmacist. Jasser earned a Naval scholarship to study internal medicine at the Medical College of Wisconsin, and, after graduating, he traveled to the Somalian coast during Operation Restore in 1993. 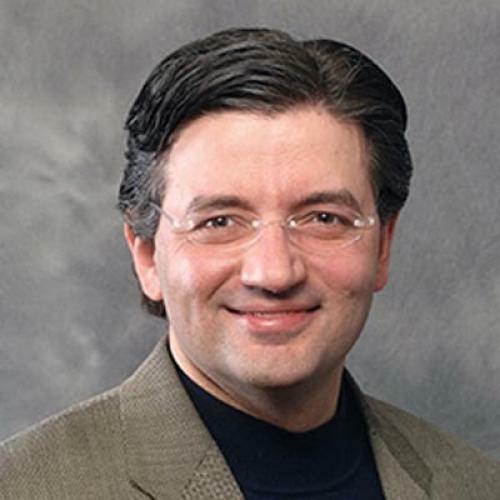 In the late 90s, Jasser worked in the U.S. Capitol in the Office of the Attending Physician, which is run by the Navy. He left the military in 1999 and took over a share of his father’s medical practice in Phoenix. He remains a devout Muslim. This is a tough game to play. To those on the left, Jasser wants to deliver a wake-up message that danger is afoot. To those on the right, Jasser wants to say that Islam is perfectly compatible with modernity and mainstream American life. In short, he wants to stress that Islamism is a more serious threat than we think and a less serious threat than we think. Not surprisingly, the nuances of such a message come through with less than perfect clarity on Glenn Beck. Amid such warring camps, it’s hard to say anything useful. Jasser, for his part, believes that both his country and his fellow Muslims are better off for his efforts. I doubt it. There’s a balance between reaching out to skeptics and allowing oneself to be coopted, and Jasser seems to have negotiated this balance unsuccessfully. Still, while the path he has chosen is lonely and perhaps all wrong, it takes undeniable courage to walk it.